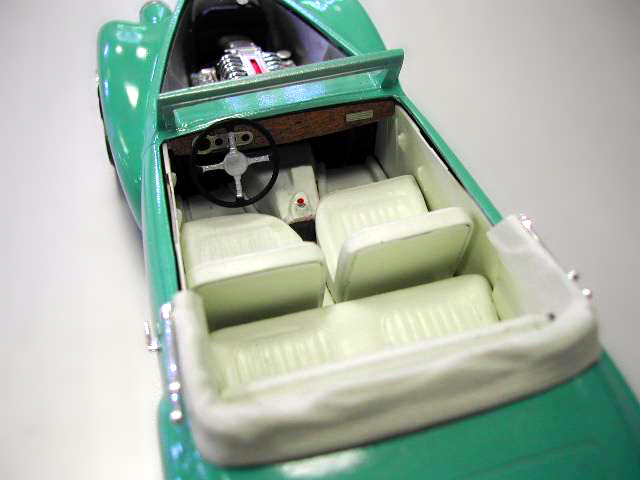 Inside, Vinny reshaped the stock bucket seats to make room for a console from a Revell/Monogram Corvette. He cut the dash from a sheet of Mahogany veneer and decked it out with photoetched details. The seats, floors, and door panels are covered with Krylon satin Ivory.